Ted has lived and worked in Fairfield County for over 24 years and for the past 12 years he has been a resident of Westport. Ted has spent his entire career in sales and marketing working with Fortune 500 companies as well as boutique marketing firms. His experience as a senior executive working with national retailers and consumer package goods companies allowed him to hone his skills in sales, process management, finance, marketing and negotiation. His entrepreneurial sprit for a period of time found him as senior manager of a successful Silicon Valley internet start-up. Ted’s mission as a Realtor® is to meet and exceed his clients’ expectations in their real estate investments, doing so with a sense of urgency, integrity, empathy and humor. 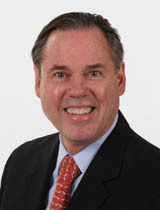 Ted offers his clients, whether buyers or sellers, unique insights in the Fairfield County real estate market. Having owned many architecturally significant houses he affords his clients great insight into antique and vintage homes. Ted is Vice Chairman of the Board of Trustees for The Marvelwood School, an independent boarding school in Kent, CT.
Ted and his wife Susan are avid skiers and tennis players and global travelers.